We're starting a new week with a truly great inspiration! 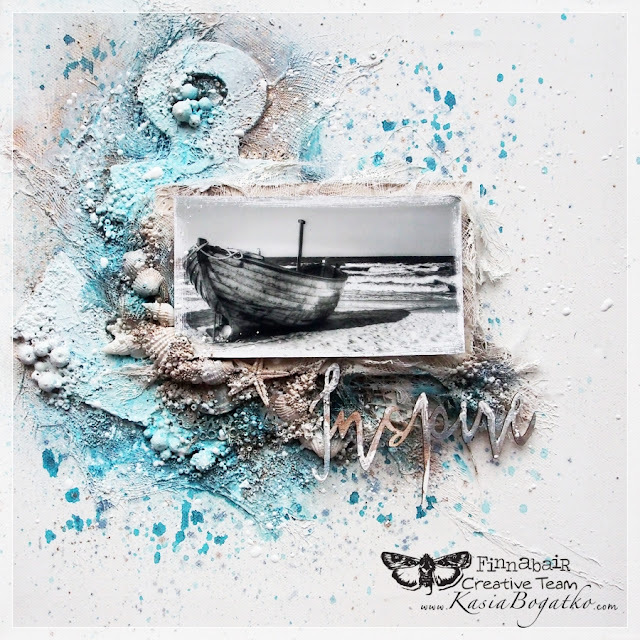 Kasia created this stunning dreamy canvas and also made a video to help you follow her creative process. Hello Friends! This time I made for you a canvas with a video tutorial. 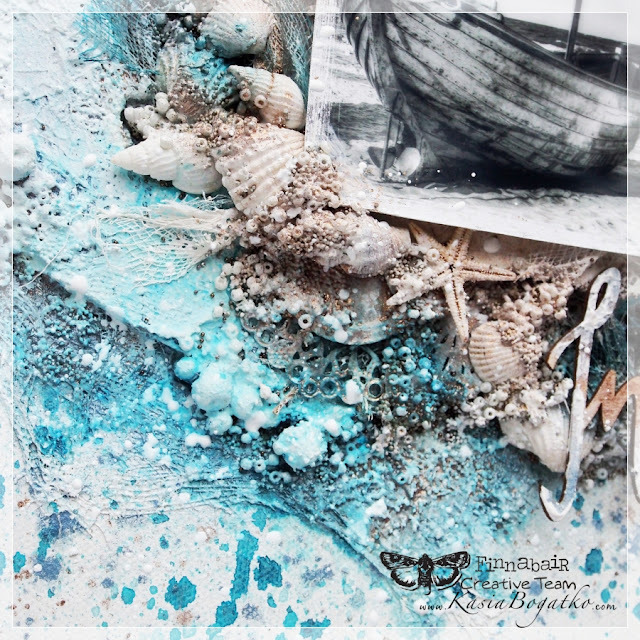 As you know, I love nautical motifs, sea, shells, etc. and this project is about this theme that inspires me so much. There aren't many ornaments or embellishments. The most important thing here is the texture. I have achieved this adding Glass and Micro Beads and gauze, a lot of 3D Matte Gel and of course White Gesso. To add the colors, I made sprays mixing Mica Powders with water. I think these colors perfectly highlight all the details. I recommended making a project like this on a canvas. This base is sturdy enough and it means you can add a lot of sprays, water, build on different kinds of texture and nothing wrong happen with your art. Please enjoy the video, and make sure to try out this tutorial. If you have any questions, please leave a comment and I'll be happy to answer. Just stunning..loved every bit of this canvas.. I love this - yes it is very of the sea, I love anything nautical and think your texture and colour is amazing! Une excellente idée pour se rappeler des vacances au bord de la mer. 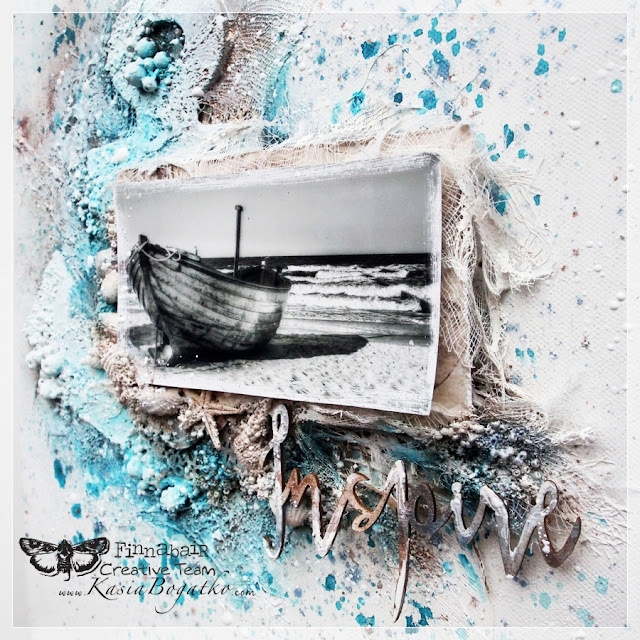 Beautiful canvas and colors - and a wonderful nautical theme. Your video was awesome. Achei incrivel seu LO, me deu muita vontade de me inspirar e fazer um parecido mas não tenho os materiais necessários, no Brasil demora muito para chegar os materiais que compramos de fora, parabéns incrível! magnifique, j adore et je compte m en inspirer pour une prochaine page. Thank you for sharing this gorgeous layout. 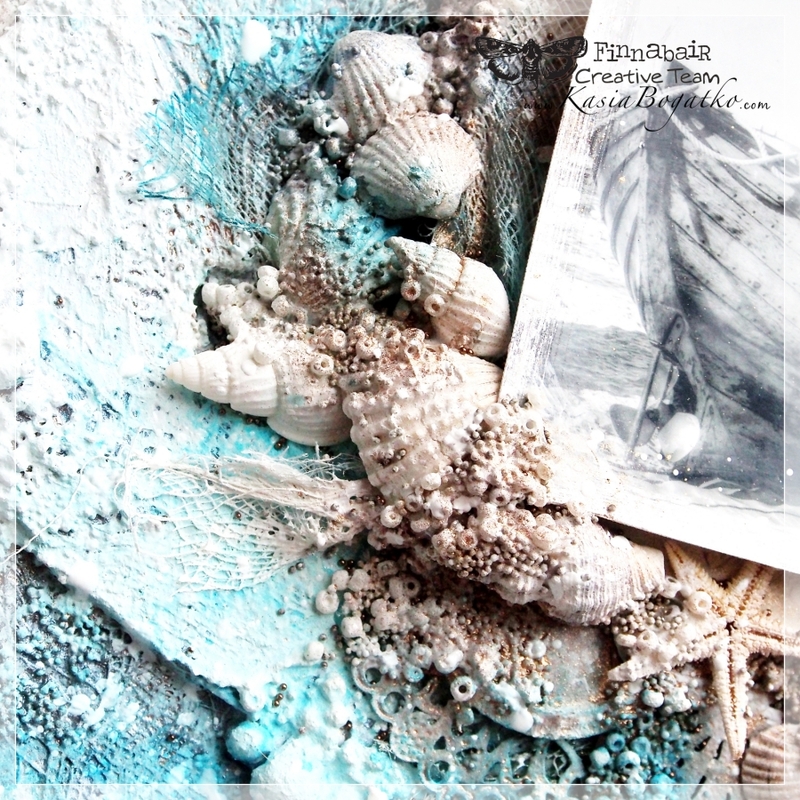 Fabulous result ... And I love the sea theme as well. You achieved the most stunning texture and used lovely colors. It was so inspiring to watch your video. Thank you for all the efforts you made to share this piece of art. Beautiful work! 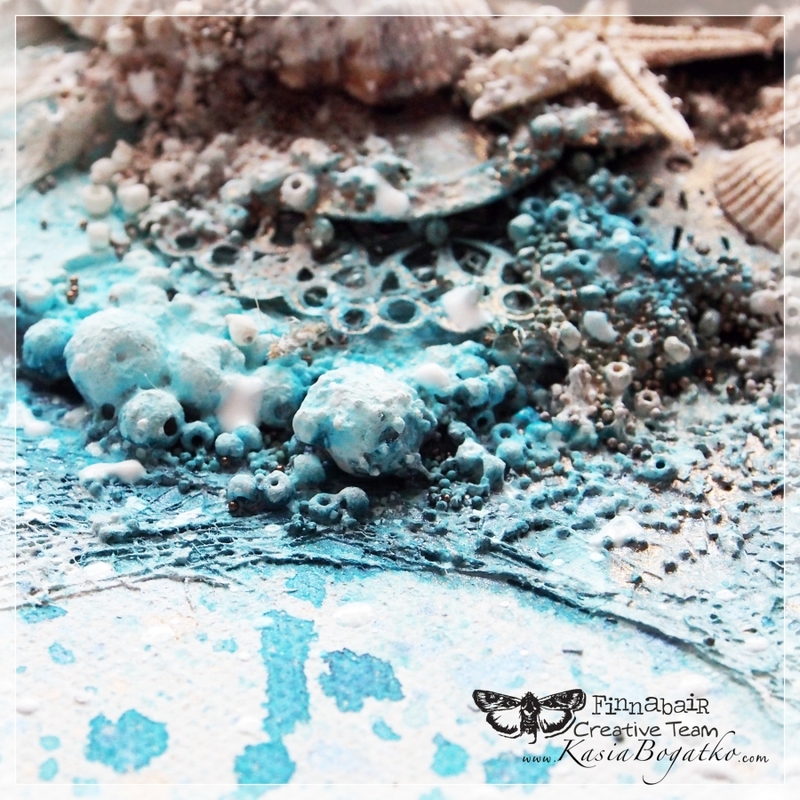 I love all the different details and texture it has, gorgeous! Gorgeous doesn't begin to describe this canvas. I love the details and texture; and the colors are spot on. LOVE IT! 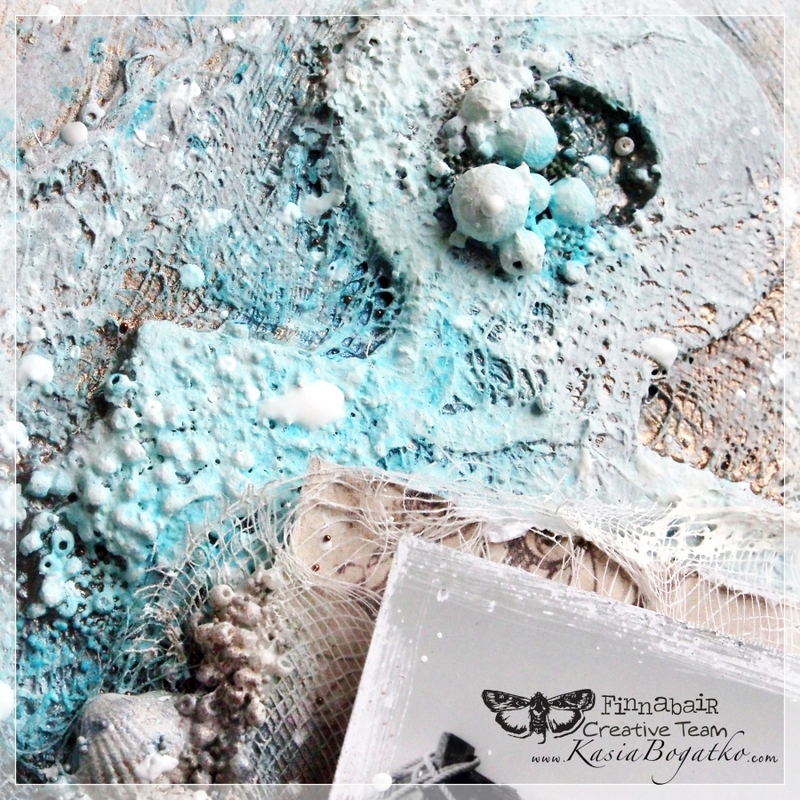 Angel Wings - playing with new product!